I recently adopted Frisco out of the Thulani program. This is my third German Shepherd from your GS Rescue website; my first GS died several months ago. 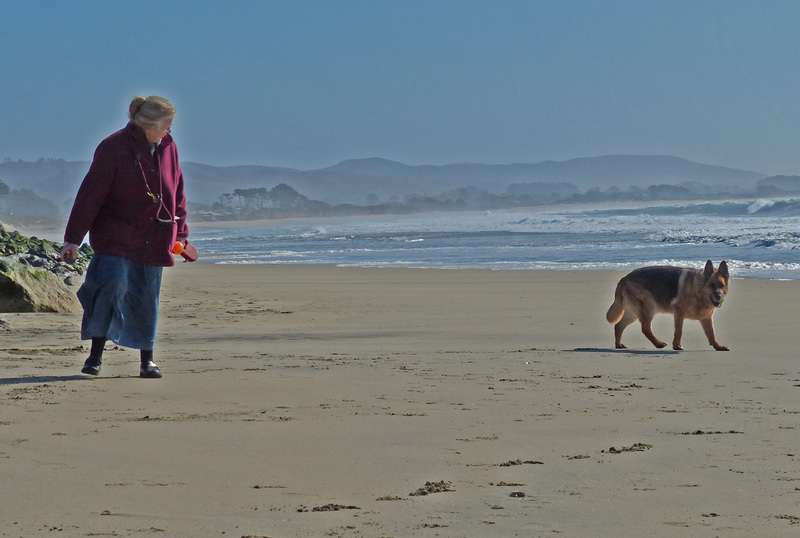 Much as I loved her dearly, I was adamant that 33 years of rescuing various types of dogs was indeed sufficient – I was done! I relished being able to walk happily around in my back garden without having to look down and better yet: vacuuming only occasionally. The only real down-side was constantly being told by assorted people: “Oh, you just wait…you’ll get another!” The more I argued their point, the more they chuckled. Well, you know what? They’re right! A house isn’t a home without a German Shepherd, dog hair underfoot and the odd glob of poop lurking in amongst the tan bark just waiting to get me! Gus (sorry, but ‘Frisco’ just doesn’t do it for me) has restored my contentment with/in (?) life. Yes, he does follow me around the house but thankfully this GS does not constantly attempt to herd me back into the kitchen (the configuration of which clearly made it the perfect sheep-pen to GS#1!) The only reason would seem to be that Gus and I both share a need for companionship. While out on his daily walks, he serves as a true ambassador for GS Rescue and the Thulani program. Many people have already shown a keen interest in your mission and love the fact that something which looks so intimidating (OMG – a 103lb police dog!) can actually be so full of love and desperate to meet n greet everybody! Finally, I really would like to thank Bob Jachens (and Anne Hetherton as my Counselor) for their absolute dedication to those older German Shepherds in the Thulani program. Without Bob and his dogged (sorry!) determination to save these guys, many wonderful GSs, who still have so much love to offer, would meet a miserable end. 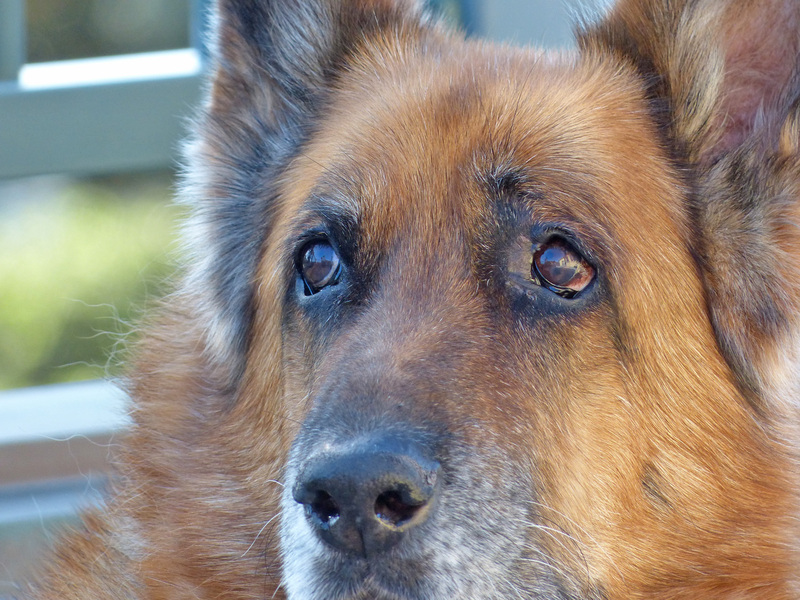 In 2001, I adopted my first German Shepherd from SaveGSD. org. She was named Kylie and fostered by Kris Jennings (maybe some will remember her, she and I still keep in touch)). Kylie came to me with a grey muzzle and an estimated age of 6 years. At that time, my vet concurred with that age estimate. 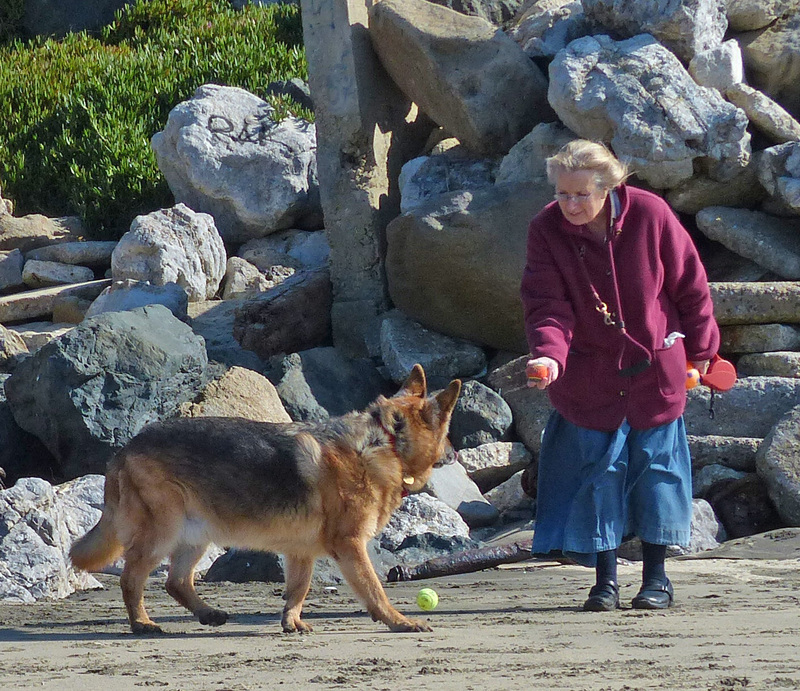 For many years, we would spend an hour on the beach every morning with a ball-chucker. It would take me that long to wear her out! Consequently, she developed the physique of a greyhound and was admired by many. I was often asked her age and as the years wore on, I began to doubt that original estimate…surely she couldn’t be fast approaching 17 years?!! However, one day (after telling the story for the umpteenth time), a passer-by told me that: oh no, it absolutely was possible, their neighbor had just lost their GS and they knew it was 18 since they got it as a puppy AND had the paperwork to prove it ! As I said, my GS did eventually die just recently, apparently at the ripe old age of 17 ! This entry was posted by admin on January 7, 2013 at 5:13 am, and is filed under Recent News. Follow any responses to this post through RSS 2.0. You can leave a response or trackback from your own site. You two look happy, Gus is a very handsome boy. I have had Thulani dogs and they are the best. Bob is a wonder with all he does for these dogs. Another rock star for a Thulani dog and it’s new home. Thank you Mary. We are so blessed to have people like you know how important this part of these precious dogs’ lives can be. I feel lucky to know you and look forward to meeting you and your new big guy.